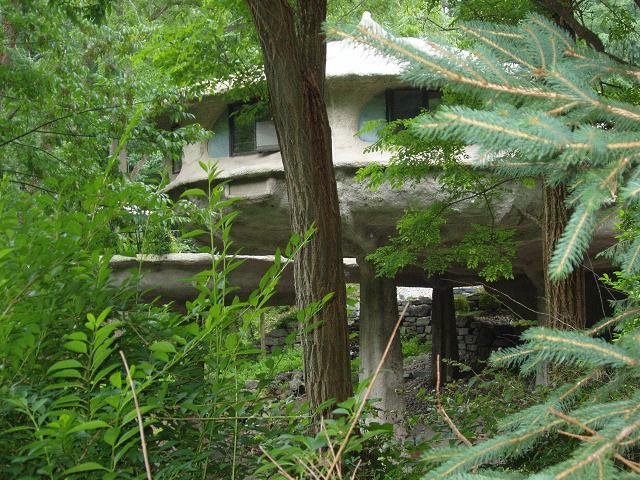 The Mushroom House is tucked away in Powder Mills Park, south of the city in the town of Perinton. If you drive along Park Road past the Fish Hatchery heading toward 96, it will be on your right hand side. you should be able to spot it through the trees from your car.